America. The land of the free. The home of the brave. And, if you were to ask pretty much any American alive, the greatest country in the world. Even though we Brits, with centuries of heritage behind us, often take the cultural high ground with a nation that is, historically speaking, still something of an upstart, we have to admit they may have a point. Every single one of those 50 states has something special to offer. From the bustling, metropolitan excitement of New York to the laidback vibe of California, and the moonscape deserts of Arizona to the breathtaking glaciers of Alaska, each has its own unique identity, culture and cuisine. What’s more, the country is surrounded by oceans and laced with rivers that are just begging to be explored. And whichever kind of holiday floats your boat, the USA will offer it – usually in supersize portions. There can be no more iconic voyage than Southampton to New York on the Queen Mary 2 – especially when you consider that Cunard was the pioneer of transatlantic travel and its liners have plied the route since 1840. Over the years everyone who is anyone has made the trip – Hollywood royalty, real royalty, sports stars and statesmen. They still do (even Ed Sheeran has tried it) and why not? After all, who wouldn’t want to spend seven days being pampered by Cunard’s famously attentive staff and spoiled by their amazing cuisine (the afternoon teas are a particular delight). Just be prepared for a drastic change of pace when you step ashore. New York is the city where dreams are hustled, taxis are hailed and there’s seemingly a hotdog stand on every corner. 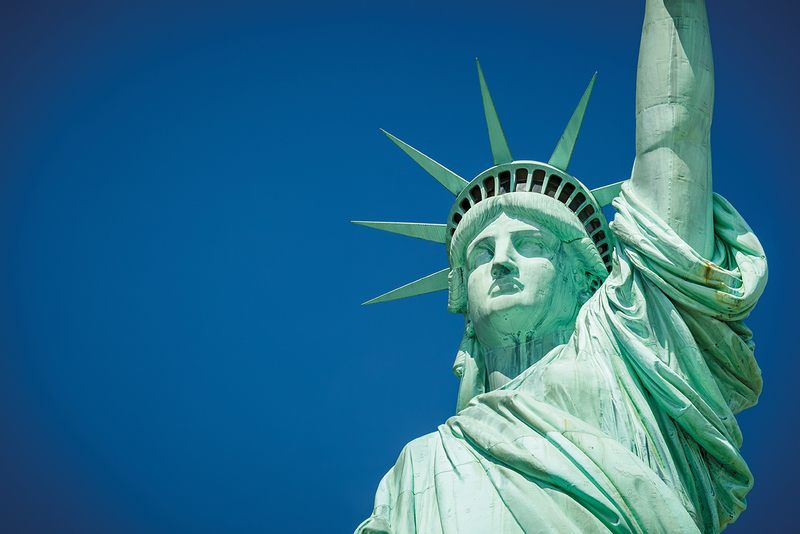 The sights are so famous that they hardly need listing here, but if you want to admire the Statue of Liberty, ascend the Empire State Building, enrich your mind at the Smithsonian or simply catch a Yankees game, this is your kinda town (sorry, Chicago). Known as the Sunshine State, Florida has many things going for it: Miami, ’gators and Disney World, to name just three. But you just have to see Cape Canaveral – home of Apollo 11, the mission that took mankind to the Moon. A visit to the Kennedy Space Center will give you some idea of the “right stuff” that astronauts are made of, and next year is the 50th anniversary of Neil Armstrong’s giant leap for mankind, so there should be quite a party. While cruise lines haven’t yet cracked how to sail the Milky Way, an hour’s drive will bring you to Walt Disney World, where they have the next best thing: Space Mountain. And if this rollercoaster doesn’t get you screaming, you have cooler nerves than Buzz Lightyear. 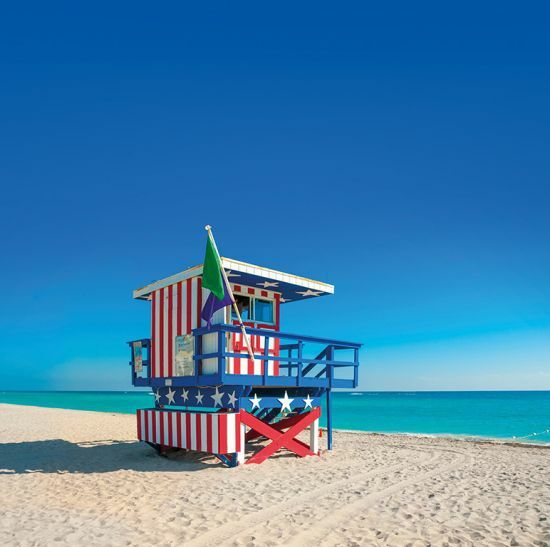 So many attractions and we haven’t even got to the best part – which is that most cruises from Cape Canaveral will also take you to the blissful beaches of the Caribbean. The US is a country of natural extremes where everything is wider, deeper, taller or longer than we Europeans are used to. But even by US standards, the Great Lakes – Superior, Erie, Michigan, Huron and Ontario – are something else. These five interconnected giants contain more than a fifth of all the fresh water on earth. Lake Michigan alone occupies an area of 23,000 square miles, making it roughly twice the size of Belgium. That means there’s plenty of space to cruise, while also taking in two of America’s greatest cities, Chicago and Detroit (the former celebrated for its comedy scene, the latter enjoying a renaissance after years of post-industrial decline). 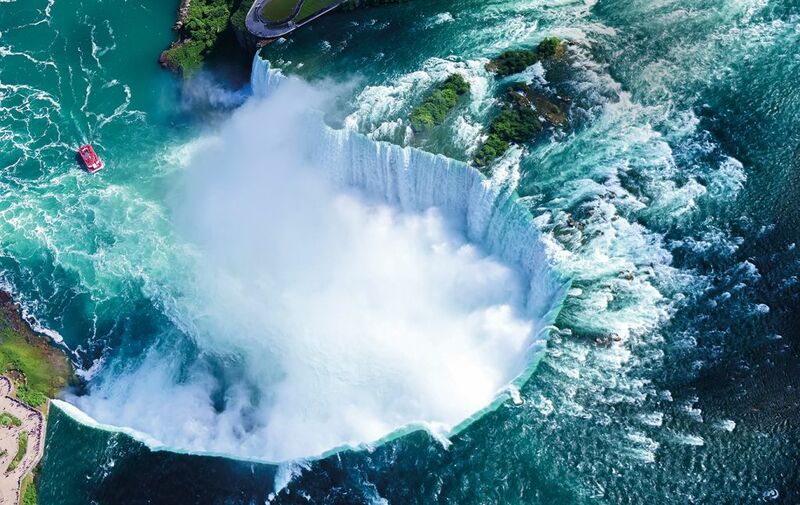 Best of all, though, a Great Lakes cruise can take you to the incredible Niagara Falls – and get you close enough to feel the mist on your face. 4. ALASKA: WOULD YOU LIKE ICE WITH THAT? A US state like no other, Alaska is only part of the Union thanks to the Russian Tsar Alexander II, who sold it to Washington in 1867, raising $7.2 million of much-needed cash. So the Last Frontier could easily have been the Lost Frontier. Funny how things turn out. 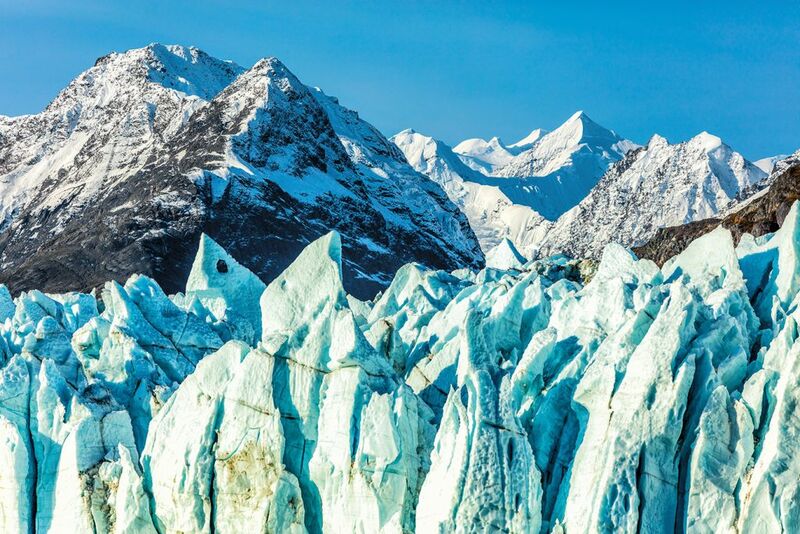 Home to just 740,000 human souls (plus large populations of bears, moose, wolves and visiting whales), Alaska is a place of immense beauty that should be on every cruiser’s bucket list. From the towering glaciers of the Inside Passage to remote fishing villages and Gold Rush ghost towns, it’s a landscape that is once seen, never forgotten. It may lie far out in the Pacific, 2,467 miles from the Californian coast, but the 50th US state occupies a special place in America’s consciousness – not least because it was here, at Pearl Harbor, that the country entered the Second World War. Across the eight main islands of this scattered archipelago you’ll find mile upon mile of gorgeous beaches in every colour imaginable – white, black, yellow, red and even green (thanks to the islands’ volcanic geology). 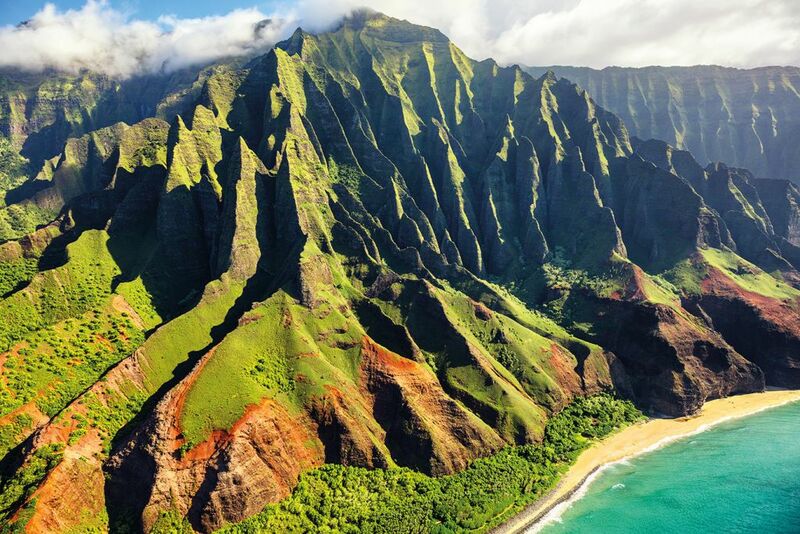 The most famous is Waikiki, in state capital Honolulu on the island of Oahu. But visit Sunset Beach on the island’s north coast in November and you’ll catch the World Cup of Surfing. Riding the waves is a way of life on Hawaii, and even if you don’t attempt it yourself, watching the best in the world is an unforgettable experience. No wonder the Beach Boys wished we all could be California girls (and boys). From glamorous Beverly Hills to the lush valleys of Wine Country, the sun is almost always shining and the lifestyle is as chilled as the Chardonnay. 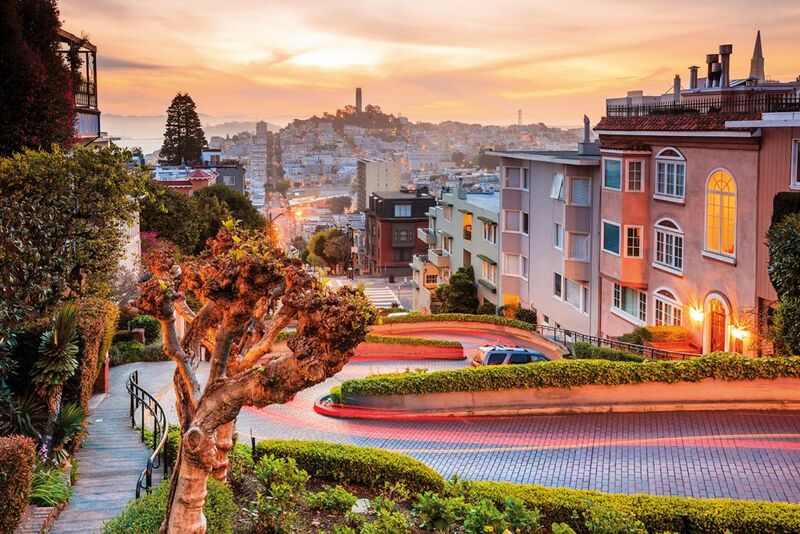 Once you’ve paid your respects to Hollywood, head north to San Francisco – recently voted the best place to live in America – where the must-sees include the Golden Gate Bridge, hippie haven Haight Street and the ultra-cool Mission District, where Latino meets hipster. And if that sounds a little too on-trend for your taste, head for the San Diego Comic Con, where more 135,000 comic-book nerds gather to indulge their hobby each July. Cruisers assemble! The birthplace of jazz and blues – and therefore of pretty much everything we listen to today – New Orleans is a feast for all the senses. Walk down Bourbon Street in the famous French Quarter during the day and you’ll note the pretty 19th century architecture but not much else. But head there at night and you’ll find out what all the fuss is about. Visit a few bars, try a hurricane cocktail (sweet, red and swimming in rum), order a bowl of shrimp gumbo and open your ears to some of the world’s finest musicians. 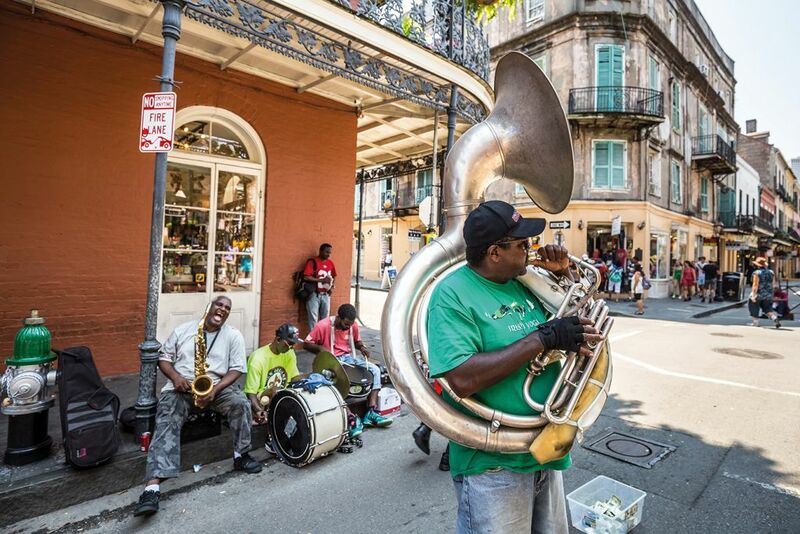 If you’re planning on visiting the Big Easy, you may as well do it for Mardi Gras (or Shrove Tuesday as we call it) – the biggest carnival in the United States and a riotous celebration of Louisiana’s Gallic heritage. But don’t just fly straight in – catch a classic Mark Twain-style steamboat somewhere upriver and paddle your way down the Mississippi in style. 8. BOSTON: WHO’S READY FOR A CUPPA? To the British way of thinking, there is no greater sacrilege than throwing away perfectly good tea. So when protestors tipped tons of precious leaves into the harbour in 1773, this “Boston Tea Party” effectively began the American War of Independence. 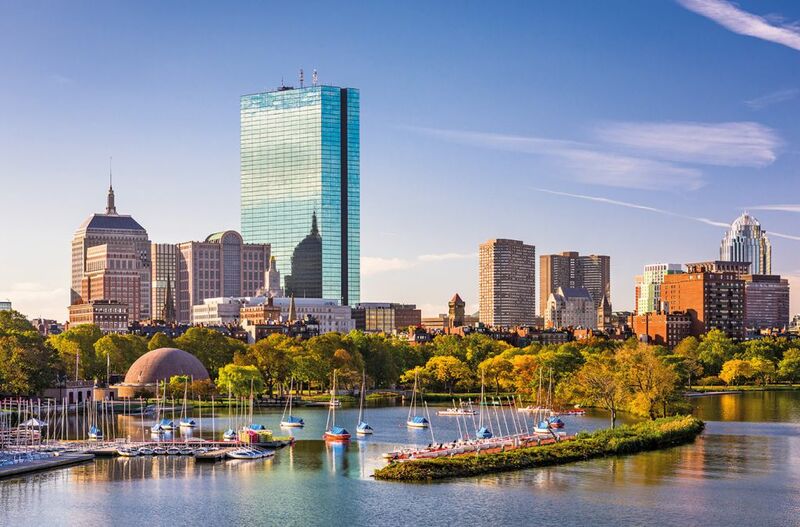 Visit the fine city of Boston today and you can trace the footsteps of those early revolutionaries on the Freedom Trail, visit the John F Kennedy museum, and drop by the harbour to see if anyone fancies a brew. Why not time your trip to coincide with Independence Day and see all that history brought to life? As Meg Ryan and Tom Hanks found out in the movie, Seattle is no place to be if you enjoy your shuteye. Maybe that’s because the world’s first Starbucks opened here 1971, and the locals have been enthusiastically caffeinating themselves ever since. The shop is still there on Pike Place, looking much as it always did (in fact it’s practically a national monument), but today’s Seattleites are far too fashionable for coffee chains, so you’ll find an abundance of quirky independent cafes in the city’s bustling centre. Feeling peckish? 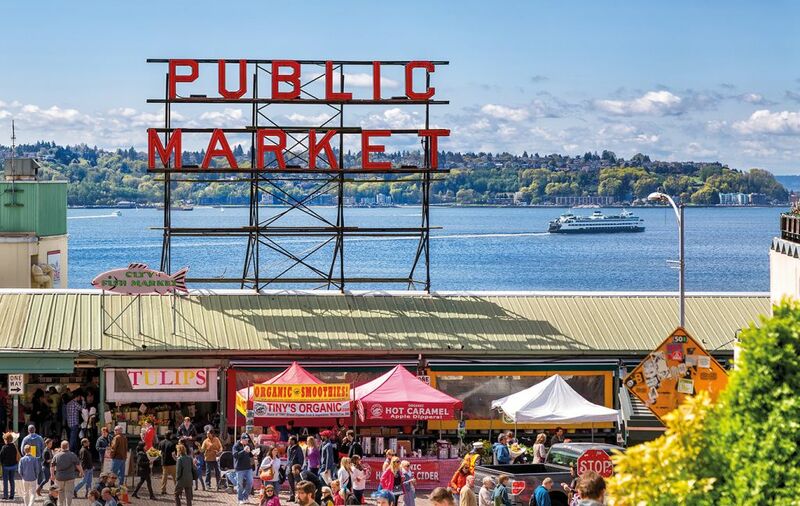 Take a stroll round Pike Place Market and try some of its world-famous seafood. If it’s knowledge you’re hungry for, Seattle has that covered too, with the Seattle Center, the Museum of Flight and the Jimi Hendrix-inspired Museum of Pop Culture all ready to offer you a spot of enrichment. And speaking of pop culture, the legendary Nineties TV series Twin Peaks was filmed just an hour’s drive from Seattle, and a cruise along the Pacific Northwest’s verdant coastline will reveal many of the exterior shots seen in the show. Perfect for enjoying with a damn fine cup of coffee on the top deck. Trump’s America may be a divided land but there’s still one thing that brings Americans together. They do love to eat, bless them, and in Maryland there’s one dish in particular that the locals can’t get enough of: crab. 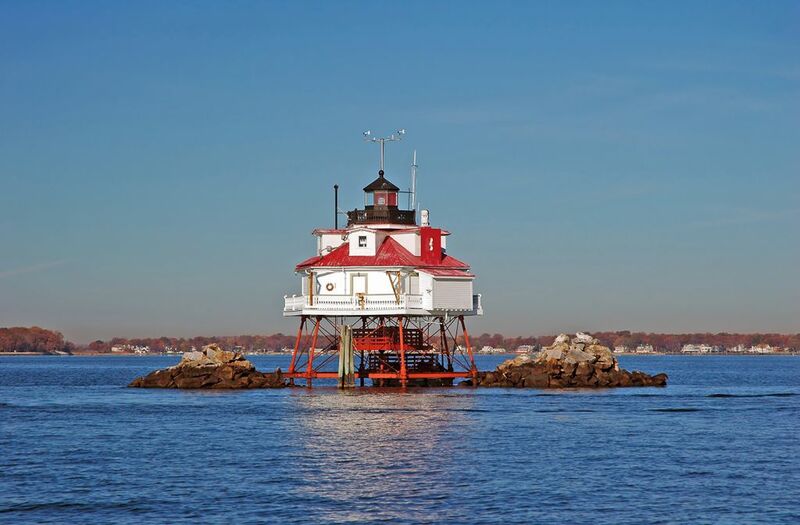 Take a summer cruise round Chesapeake Bay and you’re nigh-on certain to come across a crab feast, with bucketloads of the region’s famous blue crabs, all steamed in the traditional manner and utterly delicious. Mallets at the ready! But there’s more to Chesapeake Bay – the largest estuary in the USA – than the catering. Maryland’s state capital, Annapolis, has pretty architecture and is a haven for yachties (sailing is massive here), while Williamsburg and Yorktown are a must for anyone interested in the American War of Independence, and the battlefield where George Washington won his decisive victory over the British, helping to create the US of A we love today.